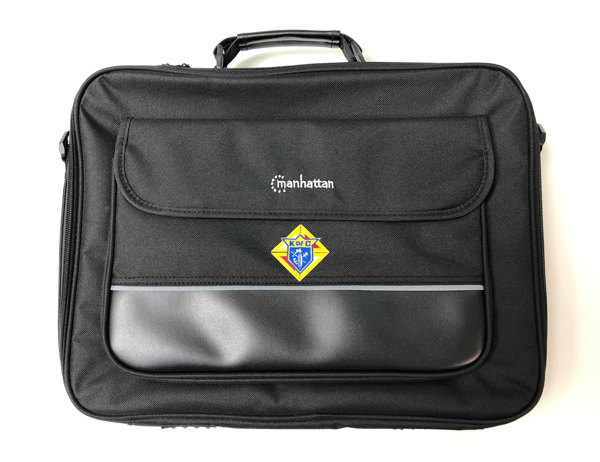 KofC Laptop Computer Bag Made by Manhattan. Embroidered Emblem of the Order attached in full color. The MANHATTAN Empire Notebook Computer Briefcase has what it takes to carry computing where and when its needed. 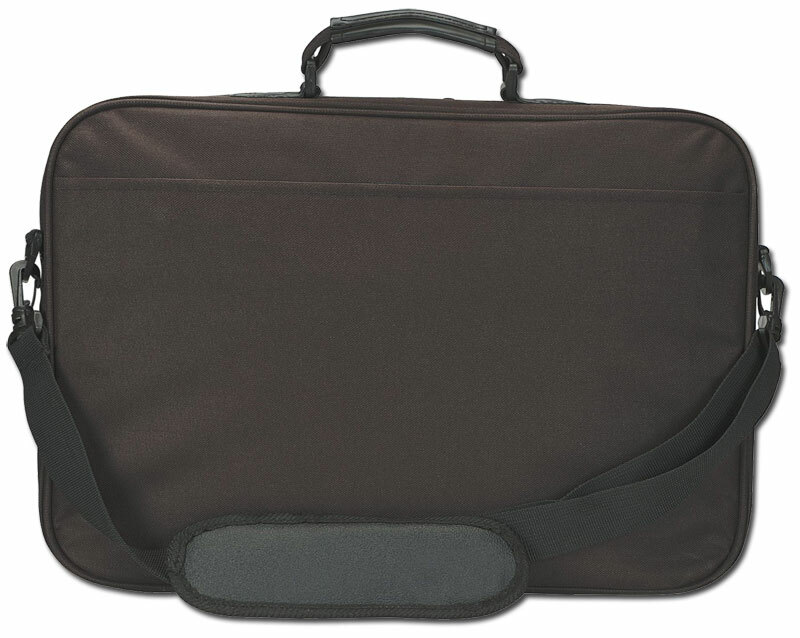 Its front pocket secures computer accessories, cables and other equipment while a rear pocket with file holder keeps papers smooth and flat. Three pens loops and an ID/business card holder keep writing instruments and cards ready for the best first impression. The cushioned handle and adjustable, non-slip removable shoulder strap make it easy to carry and lift into overhead bins and racks. 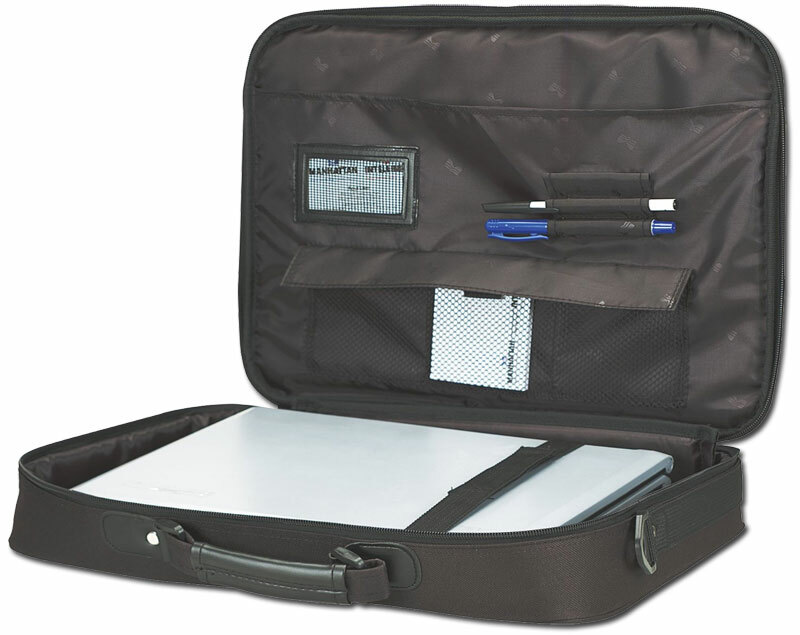 The large padded computer compartment protects and accommodates most notebook computers with widescreens up to 17". The top-load design quickly and easily helps business travelers unload and load a notebook computer at airport security inspections. Ultra lightweight and roomy only 35oz... Color: BLACK... Excellent quality. 93% poly / 7% PVC leather exterior; 100% poly interior...Overall size: 17" x 13" x 3". Get discounted pricing on sale items when you buy today.